Looking for your next conversation starter? Well, unless you’re attending an auto insurance convention, perhaps these lesser-known facts and aspects of auto insurance might not be the most interesting icebreakers — but hey, who knows? Unless you live in the heart of a city or you have easy access to an effective public transportation system, most of us are essentially forced to drive a car. Therefore, it’s useful to know more about the ins and outs of auto insurance, something that’s required (and highly recommended, in general) to protect you, your passengers, and your vehicle. “I really enjoy paying more than I should for auto insurance. In fact, I also enjoy having a policy that doesn’t match my needs or budget!” —said no one, ever. More often than not, consumers won’t pay more for something than it’s really worth (credit cards aside, of course). This means that it’s so important to have an insurance broker in Ottawa, or wherever you live, that understands what your needs are and what your life situation is. That way, you’ll get connected with an insurance policy that’s not only extremely well-valued, but also tailor-made to the most important individual: You! So, whether you really are in need of insurance-based conversation starters or you’re simply looking to learn more about how auto insurance rates are calculated and what you can do to get a better deal on your car insurance rates, you’re in the right place! Learn more about Ottawa auto insurance from us today, or feel free to get in touch with Bradley’s Insurance if you have any questions. Our friendly, locally-oriented team of insurance professionals are happy to help you find the right solutions! Let’s get started. Car insurance dates back to…well, since cars were basically a thing. Predating the launch of the iconic Ford Model T back in 1908, Travelers Insurance actually wrote the first car insurance liability policy in 1897, some 11 years beforehand! We’re unsure what the legalese looked like in this primitive document, but if there was an insurance hall of fame, this historic policy would surely be showcased. Bringing the world together since the early days of Internet Explorer, and even before then, the internet has had a monumental impact on the world, especially in the way of instant communication. Of course, early techies probably didn’t assume that the rise of the internet would result in greatly cheaper, more competitive premiums. Sure enough, due to the ease of comparing quotes, the internet forced insurance providers around the world to decrease their premiums. The insurance market was forced to become more competitive. It’s no secret that shared finances (and a legal partnership) between two individuals results in money saved. From sharing meals together to buying groceries in bulk and bundling insurance policies, getting married might be a more frugal enterprise than people think — that is, if the wedding isn’t too lavish. 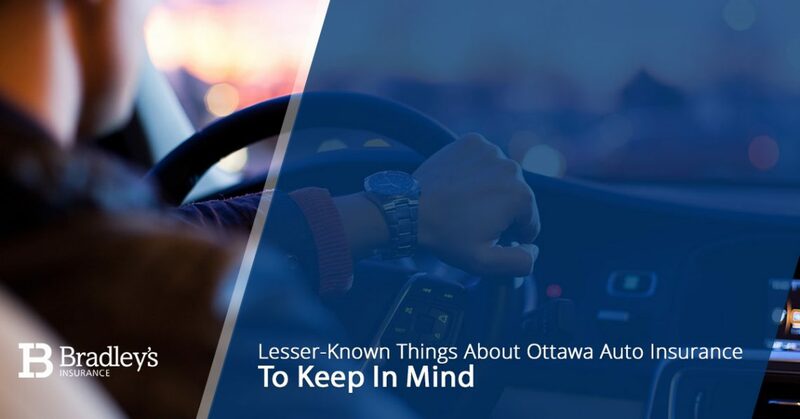 The fact of the matter is that, when it comes to auto insurance in Ottawa and around the world, married drivers tend to pay less on their car insurance. Why? This is because, generally speaking, married drivers have fewer accidents and therefore get the “married discount” due to their lower risk. Drive on, lovebirds. There’s nothing wrong with making the move to a cheaper, better-valued and better-fitting car insurance policy — in fact, we encourage it! However, if you are making the move to a different provider with a different policy, make sure to cancel your old one. If you don’t, your old (but still currently active) policy will be reported on your credit report as “canceled” due to non-payment. Be proactive and make sure that your financial ducks are in a row. Apparently, in our neighbors down in the south (the United States), many people are in a rush to get somewhere — unfortunately but frequently resulting in dangerous, high-risk or flat-out reckless driving. As a result, some 22 percent of all auto insurance policies are written specifically for high-risk drivers — that’s nearly a quarter of the entire insured driving population! Yikes. Stay safe out there, even here in Ottawa, and make sure to drive carefully and defensively. Hail damage is no joke down in the southern United States — specifically, Texas. The auto insurance situation must be interesting down there, because hail storms cost an average 924 million dollars per year! At least people can get a good deal on a brand new car, assuming that they don’t mind the myriad of dents on the roof and hood. The Perfect Ottawa Auto Insurance Policy Awaits You! We hope that these random tidbits and generally lesser-known facts about car insurance were educational, or even interesting enough to use as a conversation starter. If you’re looking for a great deal on an auto insurance policy in Ottawa, or you’re interested in any of our other personal insurance services, get started by contacting Bradley’s Insurance today!